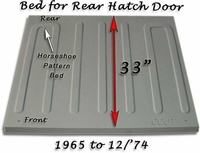 "Die Stamped 18 gauge, zinc coated sheet metal Beds"
HFS Hell for Stout� Mid Bed w/Wings are built with high quality 18 gauge, zinc coated sheet metal. 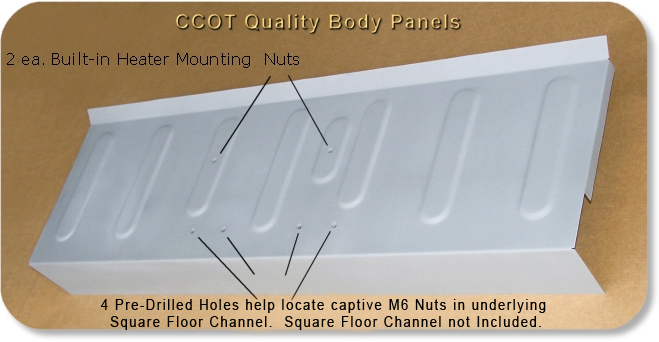 Zinc coated sheet metal is a highly rust resistant and corrosion resistant metal that has a high mix of zinc and is also finished with a zinc top coating. Because of the zinc coating, the metal does not need to be primed and one could paint directly to the metal if they choose. Only the flash welds would need to be treated and etch primed. The zinc coating also highly stiffens the 18 gauge steel. 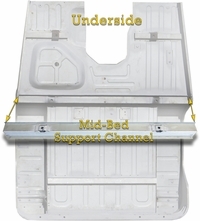 HFS Mid Bed support channel is built with high quality 18 gauge, zinc coated sheet metal. 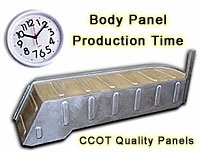 Zinc coated sheet metal is a highly rust resistant and corrosion resistant metal that has a high mix of zinc and is also finished with a zinc top coating. 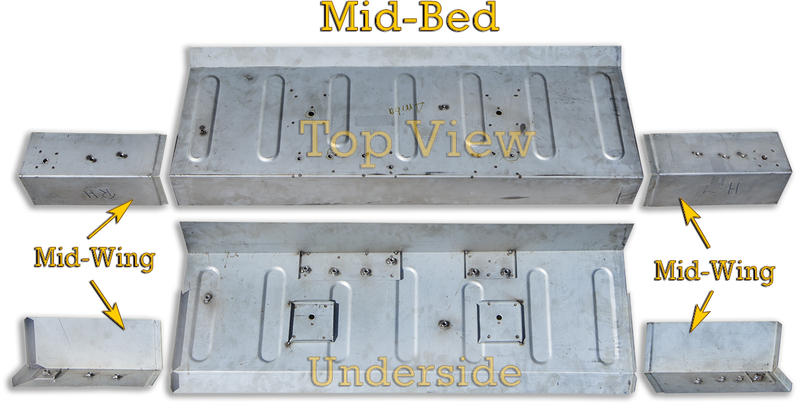 Because of the zinc coating, the metal does not need to be primed and one could paint directly to the metal if they choose. 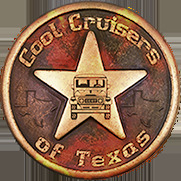 Only the flash welds would need to be treated and etch primed. The zinc coating also highly stiffens the 18 gauge steel. 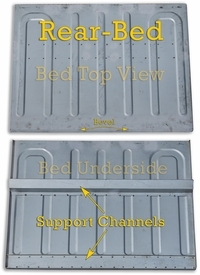 HFS� Bed with cross support channels made from 18 gauge, zinc coated sheet metal. 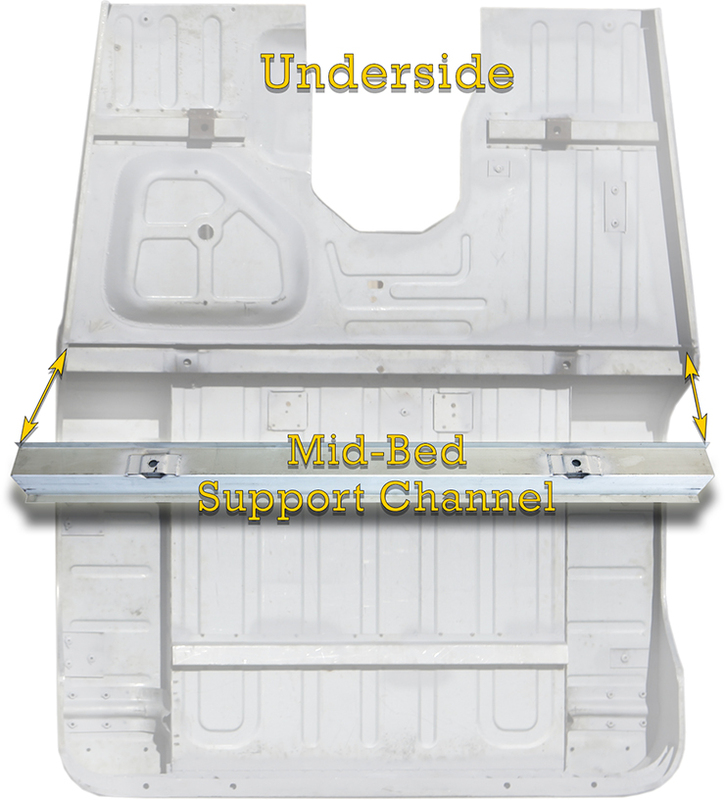 HFS Hell for Stout� Rear Bed are built with high quality 18 gauge, zinc coated sheet metal. 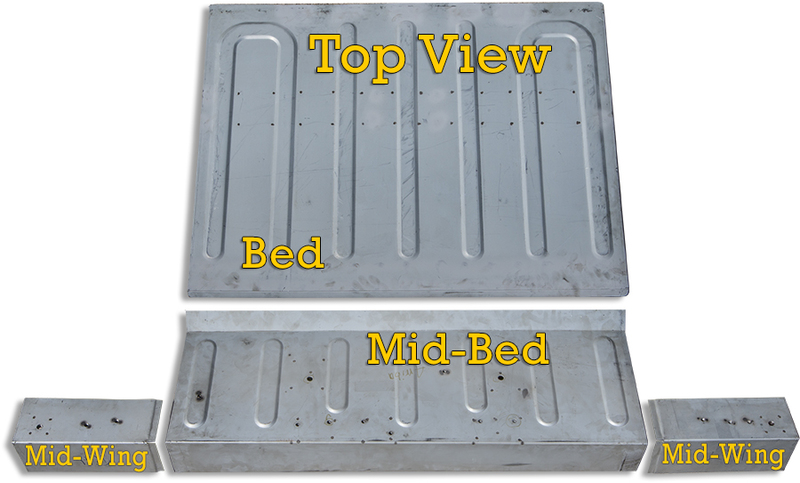 Zinc coated sheet metal is a highly rust resistant and corrosion resistant metal that has a high mix of zinc and is also finished with a zinc top coating. Because of the zinc coating, the metal does not need to be primed and one could paint directly to the metal if they choose. Only the flash welds would need to be treated and etch primed. The zinc coating also highly stiffens the 18 gauge steel. 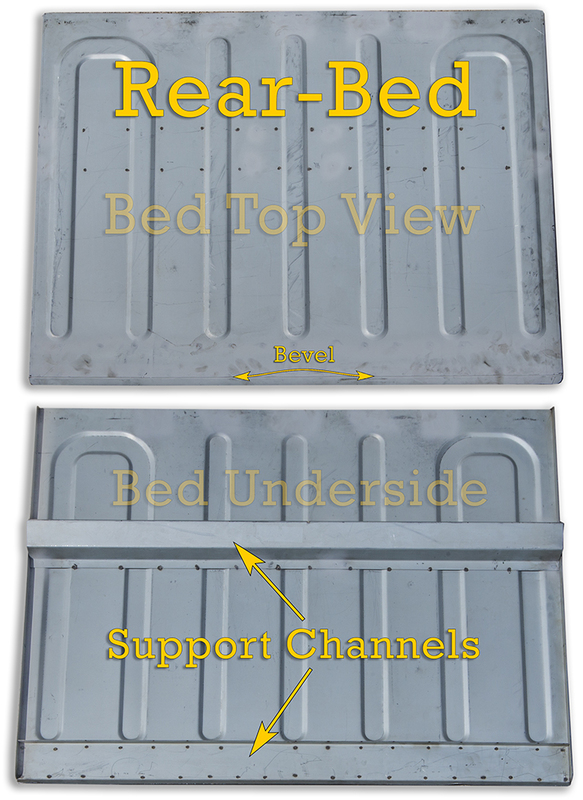 Measure your bed length to properly order. 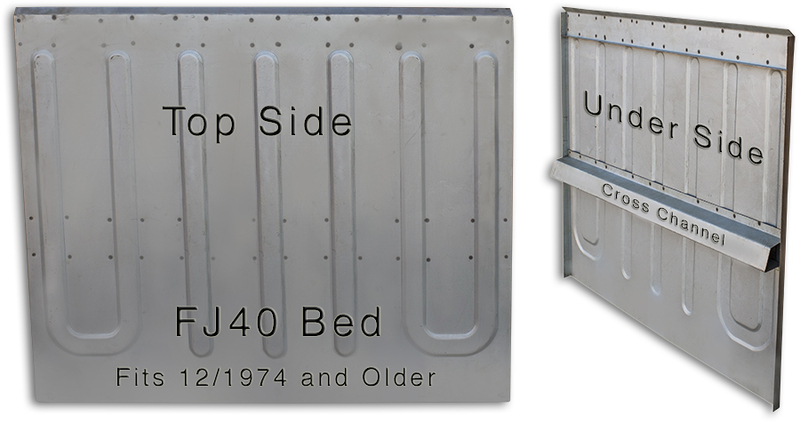 FJ40 Bed for 1965 to 12/�74 Measures 33"